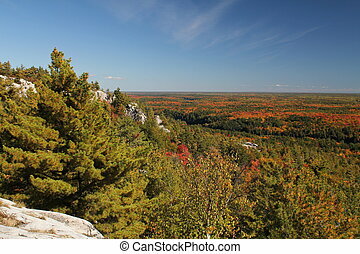 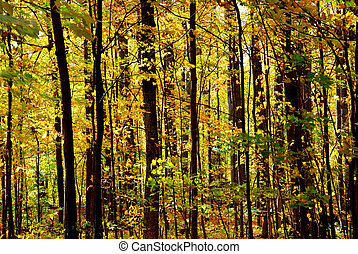 Fall forest landscape. 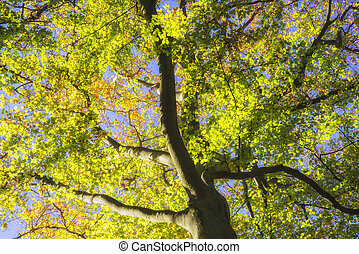 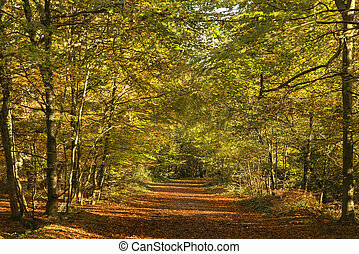 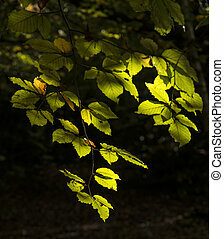 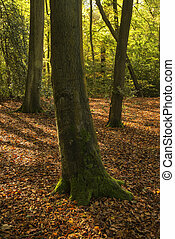 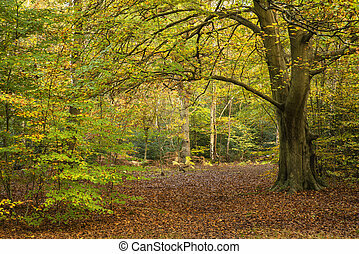 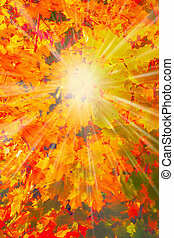 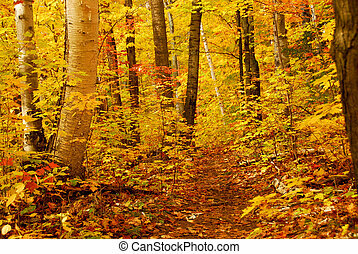 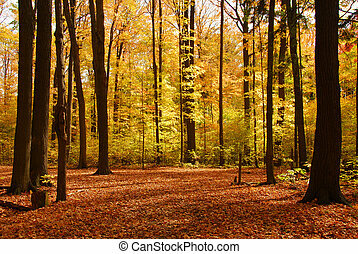 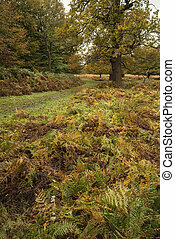 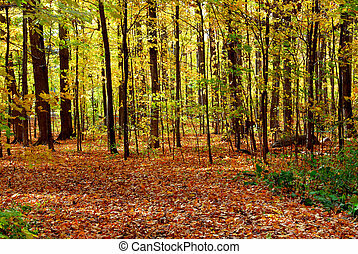 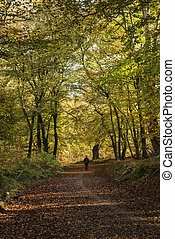 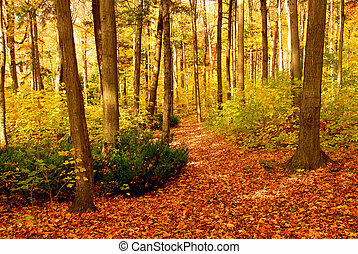 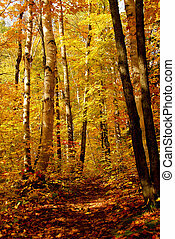 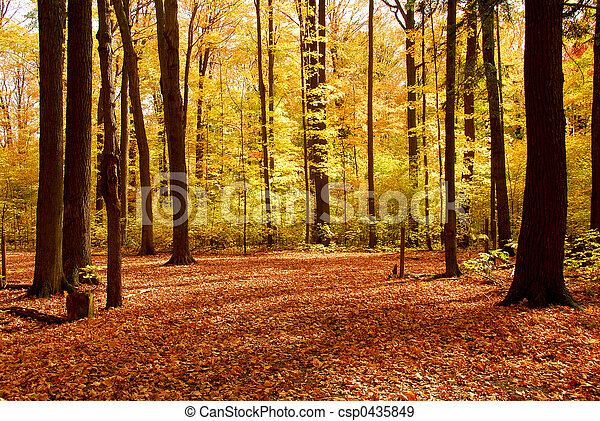 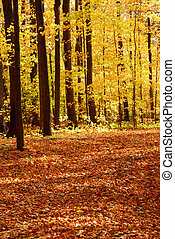 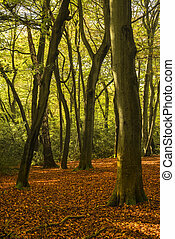 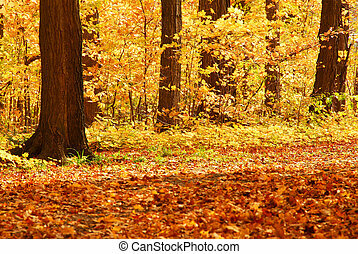 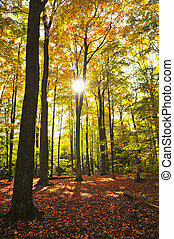 Colorful sunlit fall forest with fallen leaves covering the ground. 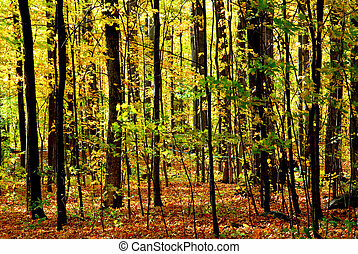 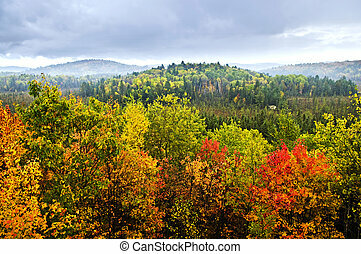 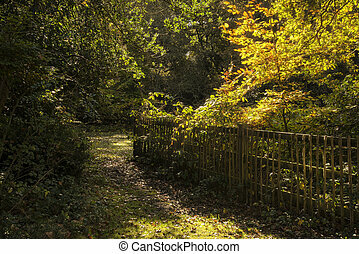 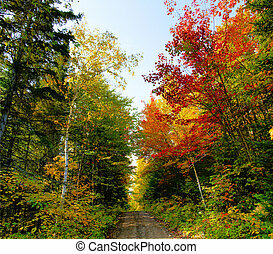 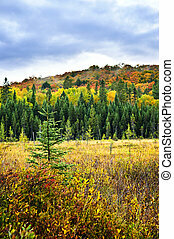 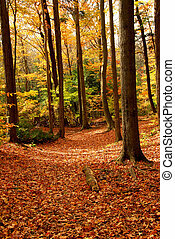 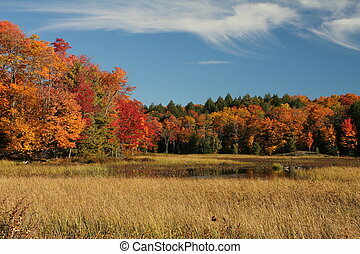 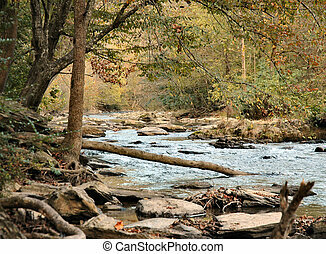 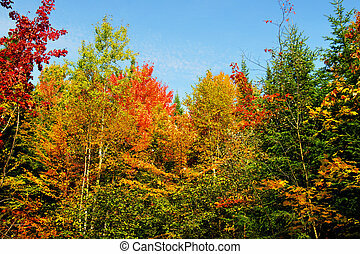 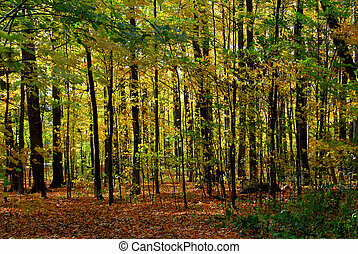 Beautiful fall or autumn forest landscape. 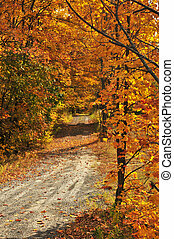 XXL beautiful forest landscape during the fall season with dirt road.